We once had a Buyer call us because they were not happy with their realtor. We took them in and conducted a full consult and set up with a hyper specific algorithm search on MLS that refreshed every 15 mins. After a couple days we finally got a hit! It was a unit that was back on market and exactly what the buyer wanted. PROBLEM: We were in a very hot Seller's market and there was a 24 hour viewing restriction. We called the listing agent right away. When she didn't answer we hung up. Another agent in the office said "good luck" I've been trying to get in touch with her for a week. CHALLENGE ACCEPTED: We called back again on her cell then left a voice. We then proceeded to text her and call her Brokerage. Still no luck so we emailed her. Finally she called back 15 minutes later. We persuaded her to let us into the house right then and there. The client met me at the house and we wrote an accepted offer within the hour! We once had an investor looking at a unique foreclosure home to flip. We analyzed the after repair value (ARV) and came up with $175k-$200k max. This margin was good for the investor so he moved forward and bought the foreclosure. After he was 3/4 way through the renovations we monitored the market and felt we could squeeze a little more out of the sale. We told him that if he could finish the project in two weeks we could sell for $225,000. He was all-in! The project finished and we listed it for $225k. With our time tested marketing plan that we executed, we went under agreement at $237k ! We had an offer for $245k however after reviewing all terms of the offer the $237k was a better deal for him. 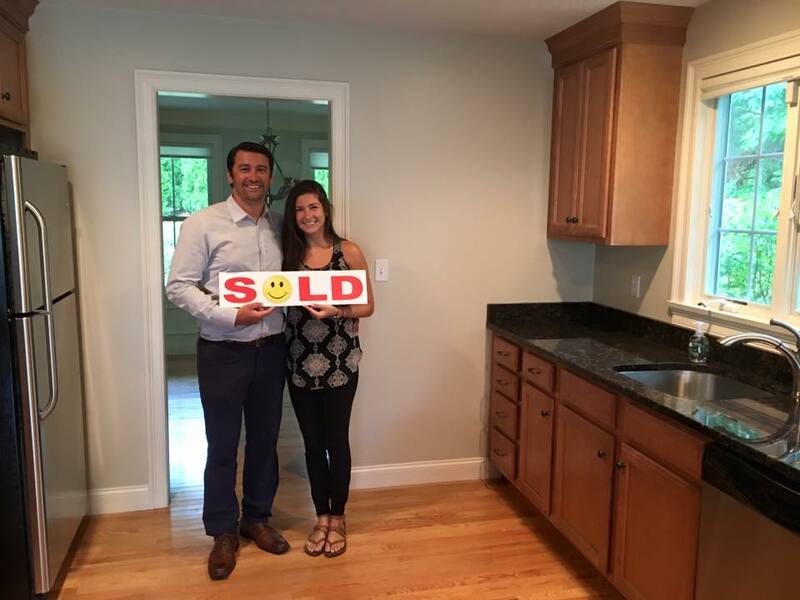 "We worked with the Jarboe Group to buy our first house. Justin was incredibly knowledgeable and walked us through the process step by step. He was reliable and responded quickly- through email, text and phone- to all my questions and concerns. He helped us find a lawyer and bank, as well as home improvement and handyman services. 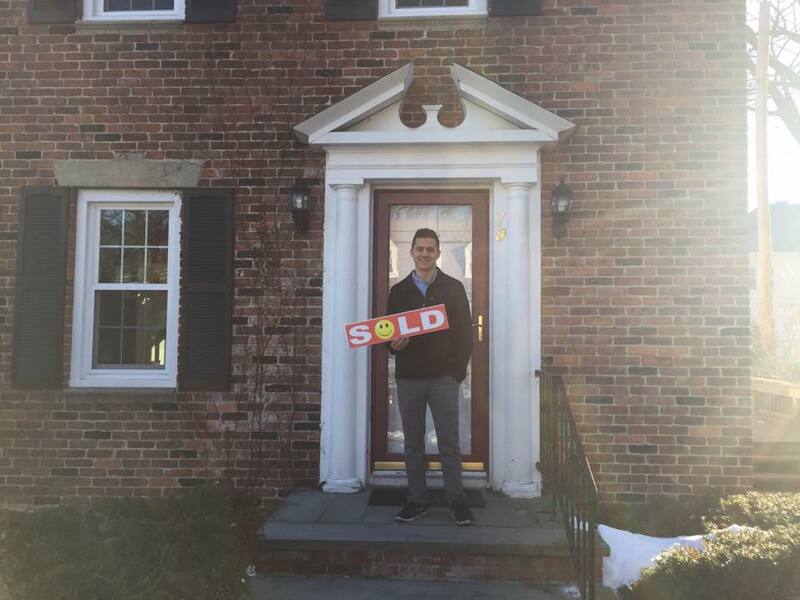 Justin was so kind and patient- buying a house is stressful and Justin made us feel supported and reassured through the ups and downs. We knew he was on our side. We really believe we got our beautiful house because of Justin and his teams hard work and willingness to put in the extra effort. We are so happy with our house and would highly recommend the Jarboe Group!" "Justin went out of his way to always be on top of the transaction of buying a house. He was always available to answer the phone, answer questions, and guide you through this most difficult process. Justin was also able to refer great mortgage companies and insurance companies along the way that gave you piece of mind that you could have trust in that individual. Even after the sale, Justin stays in touch and is always willing to help out in any matter. He is an energetic, transparent, and the most trustworthy individual making the purchase process very easy!" “I cannot thank you enough for your time, patience, and hard work in getting my dream condo! I had 100% confidence throughout the process that everything would move along smoothly. You had my best interest in mind from day one to closing! I will definitely be recommending you to my family/friends and looking forward to working with you in the future. Thank you so much!" “Last Spring after selling the home I lived in for 38 years I needed to find a new home. A friend suggested I meet with Justin Jarboe who at that time worked with Keller Williams Realty. I scheduled an appointment. I was nervous since I had no recent experience with buying a house. Justin’s easy going friendly manner put me at ease insistently. We talked about my wants and needs, the price range and location I was interested in. Justin helped me to focus my thoughts and we immediately set up home visits. Rather than randomly going to open houses and scheduled appointments, Justin suggested I view the area first to get a feel for the house and location. This was extremely helpful in narrowing my search. As we looked at houses Justin offered suggestions on what my focus should be since we had created a profile. He kept me from becoming discouraged and/or impulse buying. We found a home I was happy with and Justin patiently viewed it with me more than several times. "Thank you for all your efforts, your advice, and your patience... We love our new house!!!" "Thank you once again! Your assistance during the closing procedure was invaluable with reminders and advice greatly appreciated. Thank you for every consideration throughout the whole sales process. Very professional and thoughtful!"